This year we celebrate two important milestones. Seventy years ago, our grandparents Vrest and Mildred produced a modest, homemade catalog, printed in the garage, assembled at the dining table, and mailed to their Christmas card list. We are now in our third generation of family ownership, serving customers in every state and throughout the world, all while keeping our operations 100% in Vermont. None of this would have been possible without the hard work, persistence, and brilliance of our father Lyman Orton, who turns 75 this year. 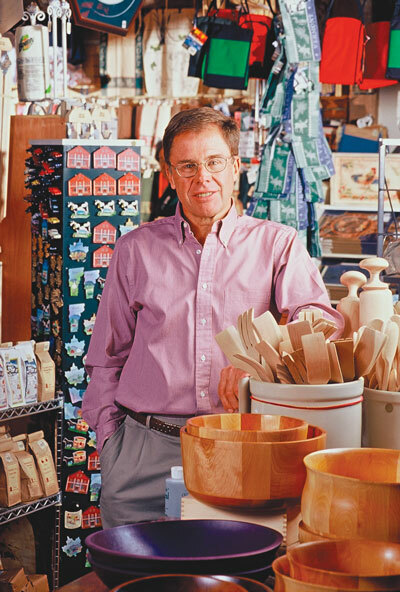 Our dad is a natural merchant who helped transform The Vermont Country Store from a small family proprietorship into a nationally beloved enterprise. The vitals of business, product, and service run in his blood; we thrive today with his guidance and encouragement. He reminds us to stay true to our roots, to see the world through the eyes of customers, and to walk in their shoes. Hardly a week goes by without a note from Dad suggesting products and urging improvements. Do we welcome every comment? Not always! Is Dad usually right? Begrudgingly, we admit he is. And so he keeps us humble, as well. As Father’s Day approaches, we thank our father for an enduring legacy that continues to reflect the values he taught us. Happy Birthday, Dad. Posted in Orton Family Classics, Seasonal Activities. Wishing Lyman a very Happy 75th Birthday, and a Happy 70th to The Vermont Country Store. I too was born in 1946. Hoping my great-great grandchildren and their great-great grandchildren will continue to receive and purchase goods from this charming, useful catalog that we have enjoyed for many years. Your customer service is wonderful. I had to cancel my order before it shipped.It was handeled with speed and without questions. I will definately order from you again. Thank you. I am so happy to find a small family-owned store with quality products, a store that is not Walmart and that has quality products. I am not in Vermont, but I am now your customer. Do you have old-fashioned grapefruit knives, the kind with a small wooden handle? The only ones I’ve been able to find that are newly manufactured are all metal and the handles are so big! Who needs a grapefruit knife the size of meat cleaver? Happy Birthday, and many, many more :)! MY dad introduced us all to the Vermont Country store when we were little-and we introduced our kids when THEY were little. Great products, wonderful customer service…and when we do get to the Weston store, such a wonderful feel of how things are displayed that actually ARE things we want to use. Quality, pricing, merchandising, unique items…thank you for being the one store we still love to browse..and buy! Wonderful message.Tells all about America family unit, Share you skills with others. Congratulatins for the job. What a wonderful family! I hope you all have a fantastic Father’s Day! Looking at this photo – your father looks about 45! Your merchandise is first class – and your customer service is awesome. A very nice and heartfelt tribute to your father. The Vermont Country Store is a wonderful institution I have stopped in and purchased from for fifty years. 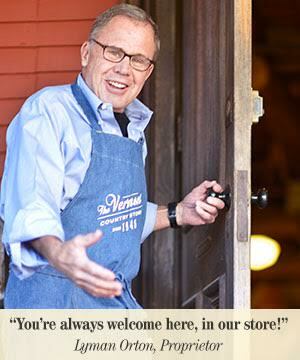 Here’s to another seventy years for the one and only Vermont Country Store! Keep up the good work ‘Boys’! Happy Birthday to you Mr. Lyman Orton!!! My husband Tim celebrated his 70th birthday in January.Take care and be well.